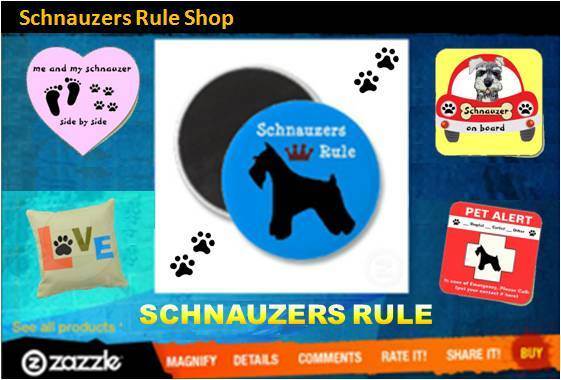 Several years ago our beloved Miniature Schnauzer Nick died and our family was completely devastated. I was working full time and knew I could not raise a puppy without being home, so I did not get another dog. I am now retired so I immediately started searching for a new BFF. 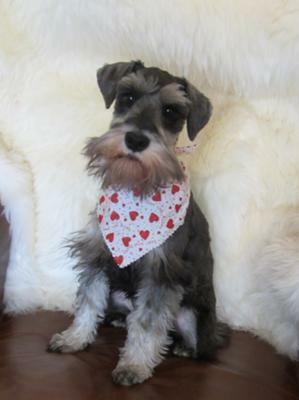 I wanted another Mini Schnauzer but could not find an one to adopt so I started looking for Schnauzers on Craig's List and our local want ads. Sure enough, before Thanksgiving, an ad was placed in the paper. I immediately jumped on it and went to pick up Hugo. We have all become fast friends. He is loving, kind and yet has that terrier energy. Like many little salt and pepper guys, he wins your heart with that look and wiggling stub. He tolerates our humanness so well and will be camping with us all summer. I now have a new BFF once again.